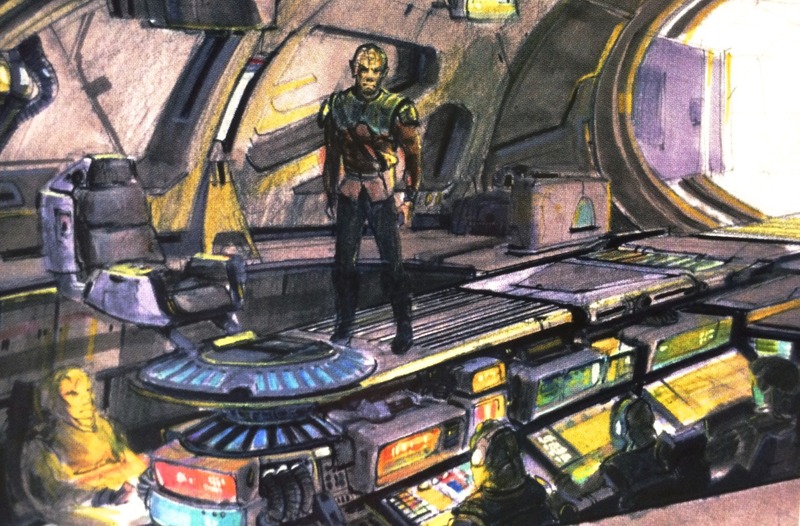 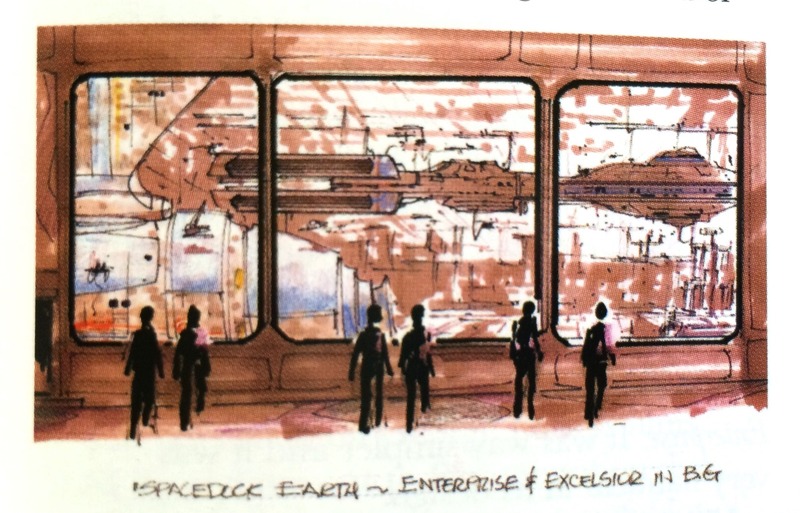 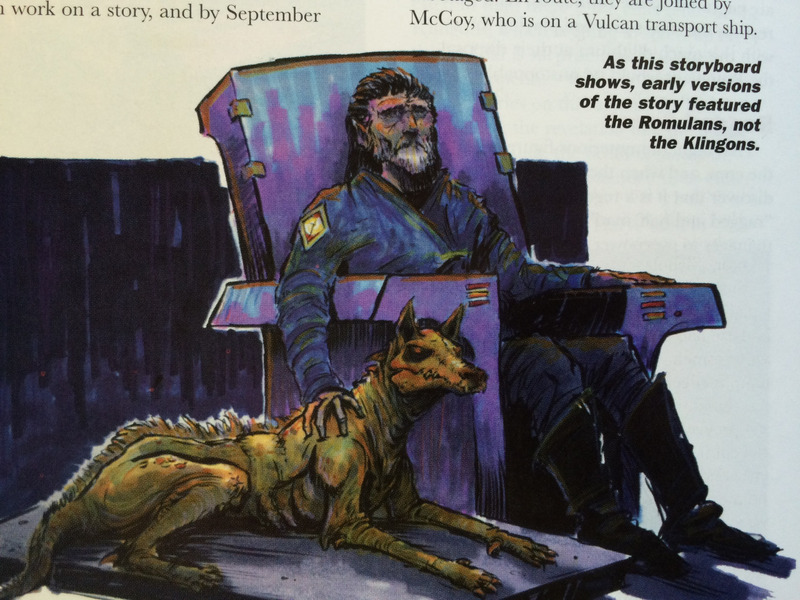 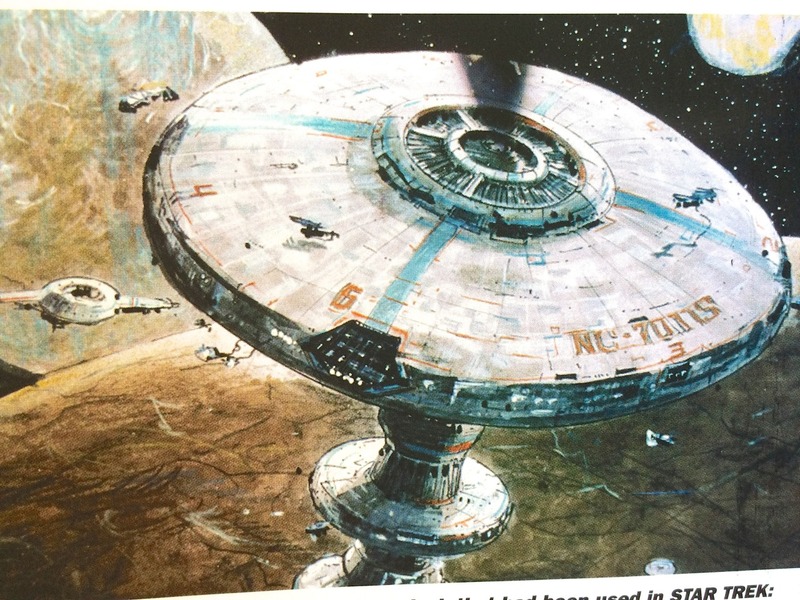 Some fascinating concept art from Star Trek III. 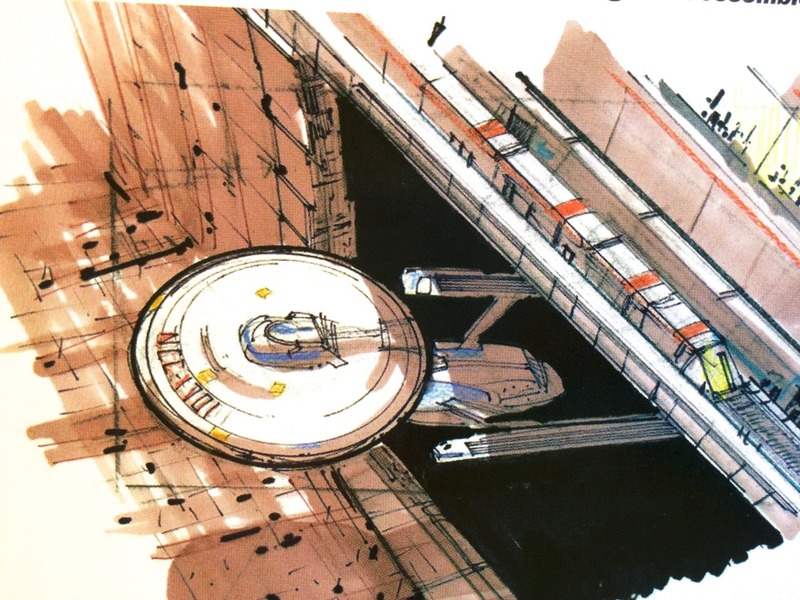 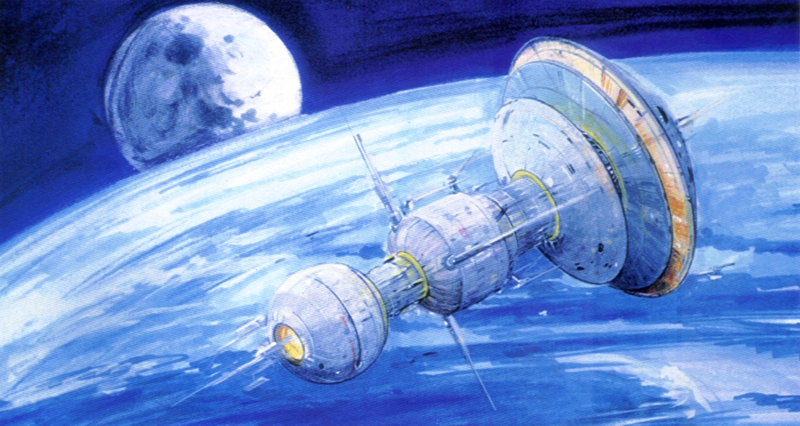 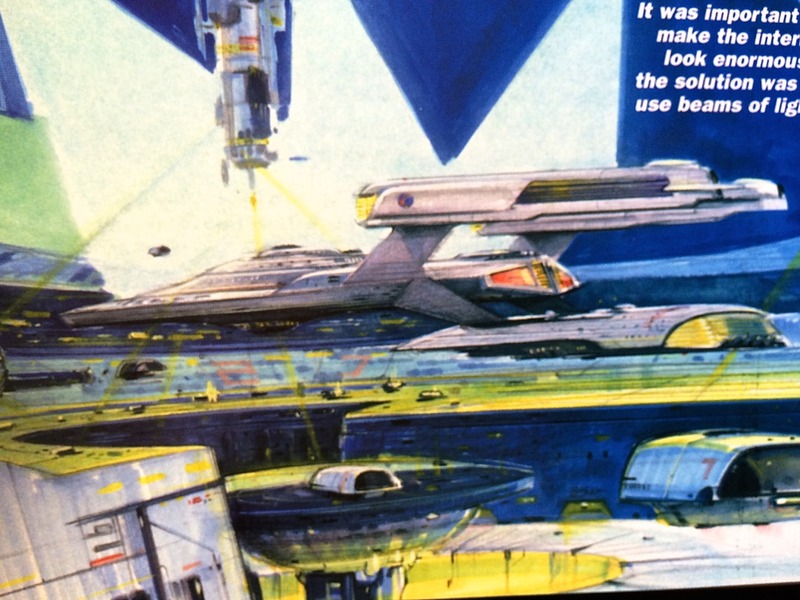 I am always a fan of great Star Trek concept art and some of these images are wonderful. I wonder if anyone has seen any of these? 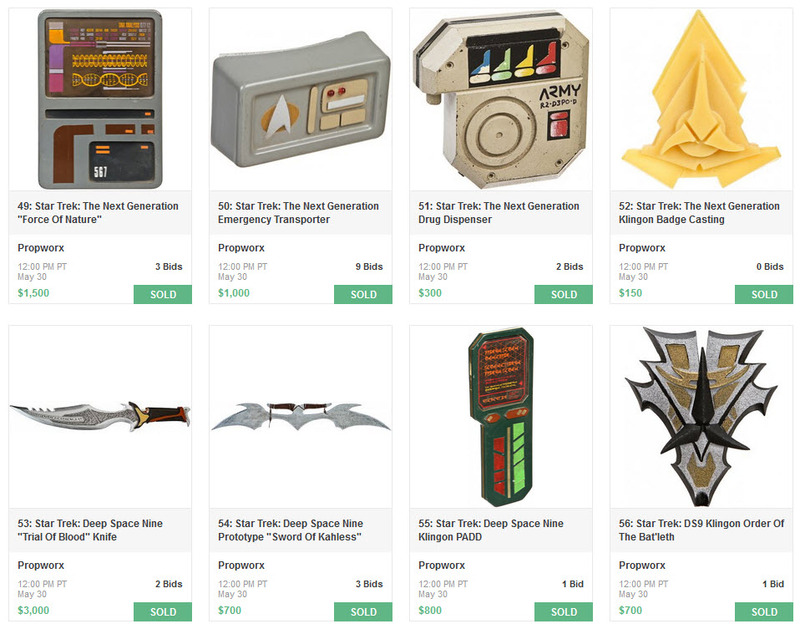 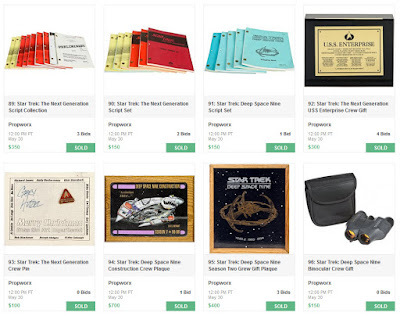 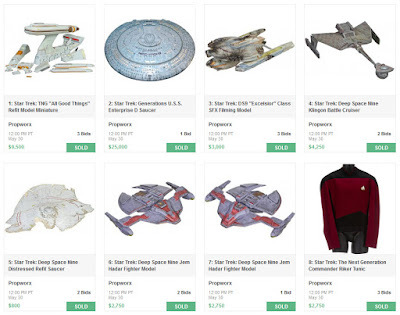 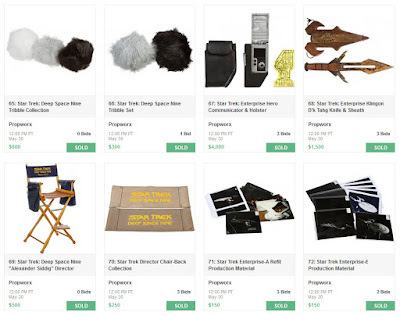 Propworx' Star Trek Auction # 5 was a smashing success. 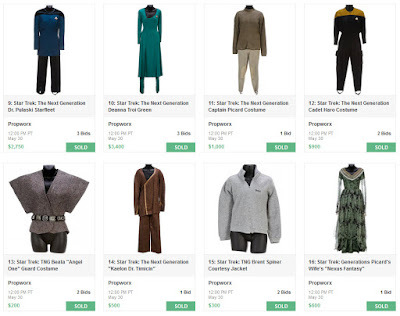 While the auction's total value was not as high as Auction # 4, mostly due to a lesser overall quality of costumes, the auction still did over $ 112,000 for 100 lots. 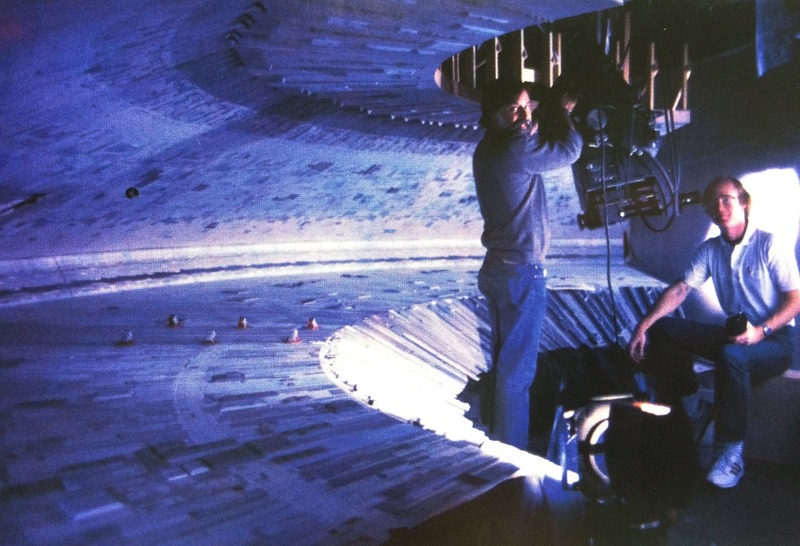 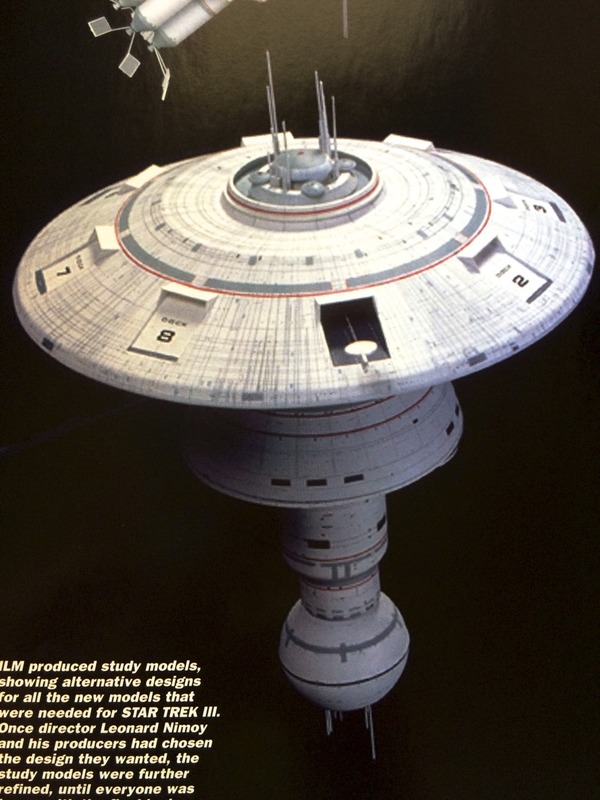 The high lot was Lot # 2 - The 12 foot Enterprise D Saucer section model from Star Trek: Generations. 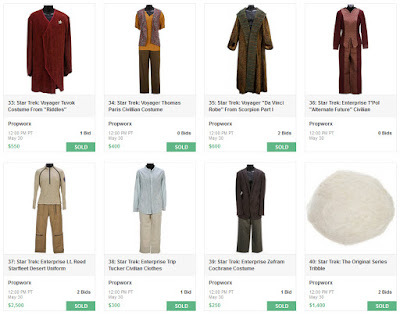 It sold for $ 25,000 ($29,500 including an 18% buyers premium). 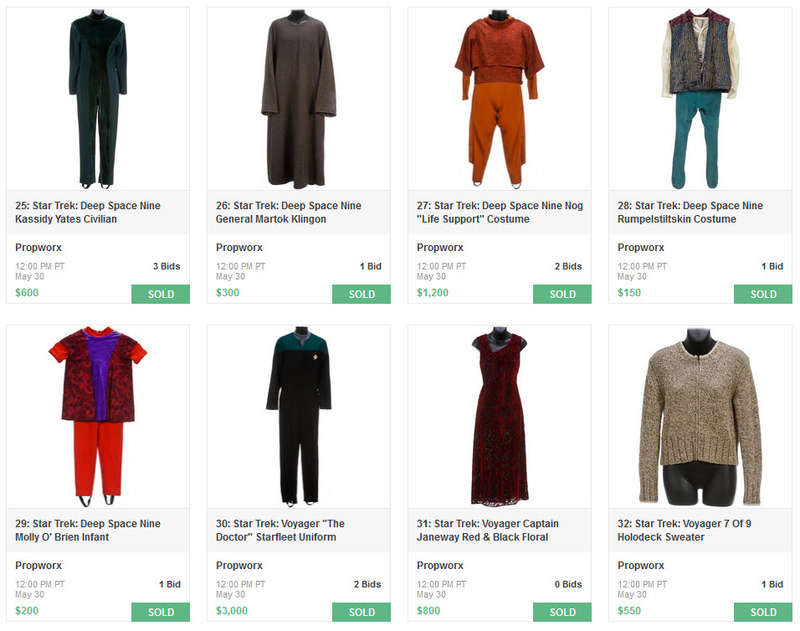 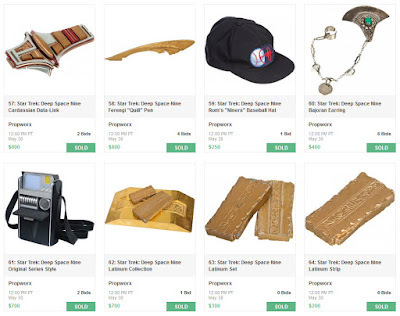 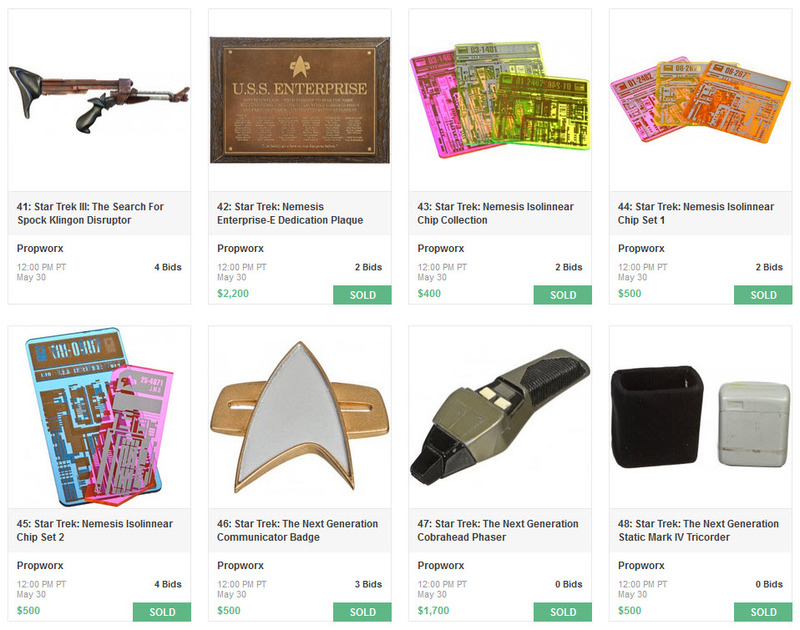 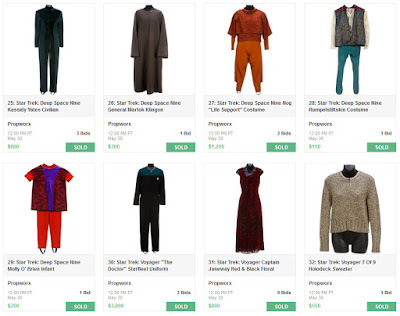 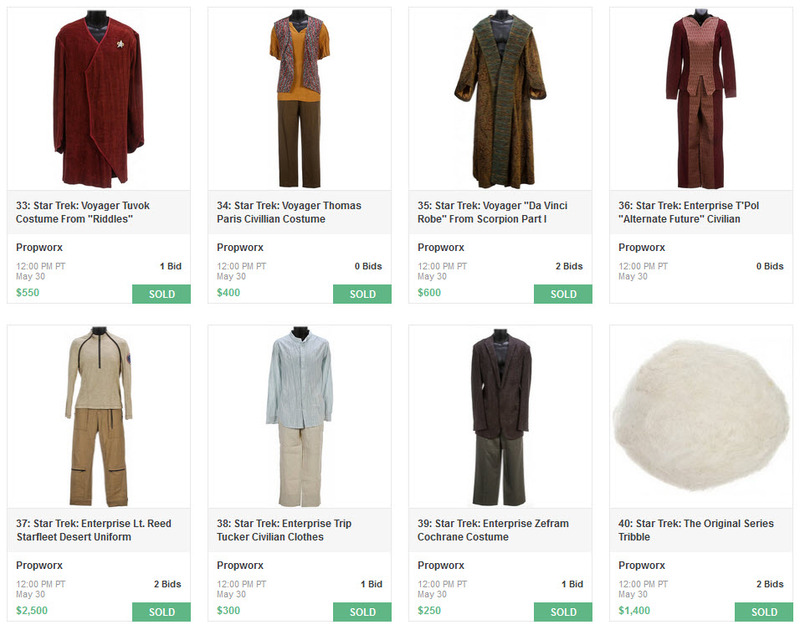 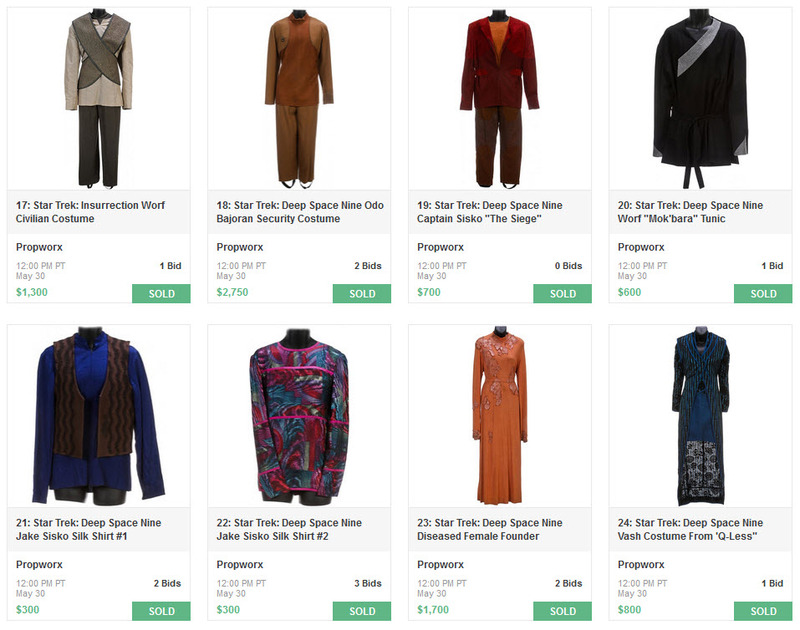 The notable other sale was lot Lot # 1, the future Enterprise D parts from "All Good Things" , which sold for $ 9,500 ($11,210 with buyer's premium). Please note that the prices below (from LiveAuctioneers.com.) 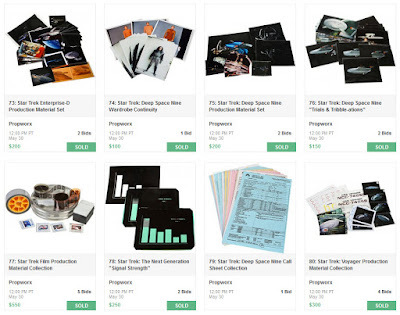 do not include an 18% buyers premium. 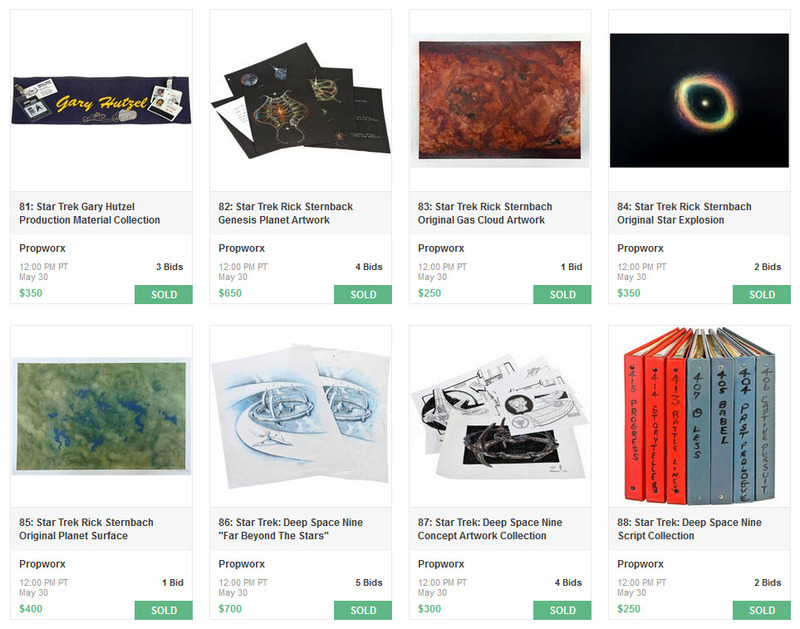 Jarrod and I appreciate everyone's support!